When skin pores become blocked by keratin (a protein in the outer layer of the skin) or sebum (an oil that lubricates the skin and prevents the loss of water), pimples form. Male hormones, like testosterone, stimulate the production of both and because levels increase during puberty, many adolescents have pimples. Since males have higher levels, they are at a greater risk than females. Eating the right foods can help in pimple treatment by supporting healthy skin. Avoid all refined and/or concentrated simple sugars. Limit high-fat foods and eliminate trans fatty acids (including hydrogenated oils) and fried foods. Vitamin A supplements have been shown to reduce sebum production and decrease the buildup of keratin in many studies. However, dosages used were high and potentially toxic. Consult with a health care provider before taking a supplement to treat pimples. It is believed that eating adequate amounts of food high in vitamin A is sufficient, especially if other important nutrients are included, such as zinc and vitamin E.
Zinc is important for the health of skin and is involved in vitamin A function. Vitamin E is also important for vitamin A function. When vitamin E levels are low, vitamin A levels stay low despite the amount of vitamin A supplementation. Vitamin A levels return to normal once vitamin E levels are restored. Tea tree oil has significant antiseptic properties. In one study, a 5% tea tree oil solution had similar effects to those of 5% benzoyl peroxide. 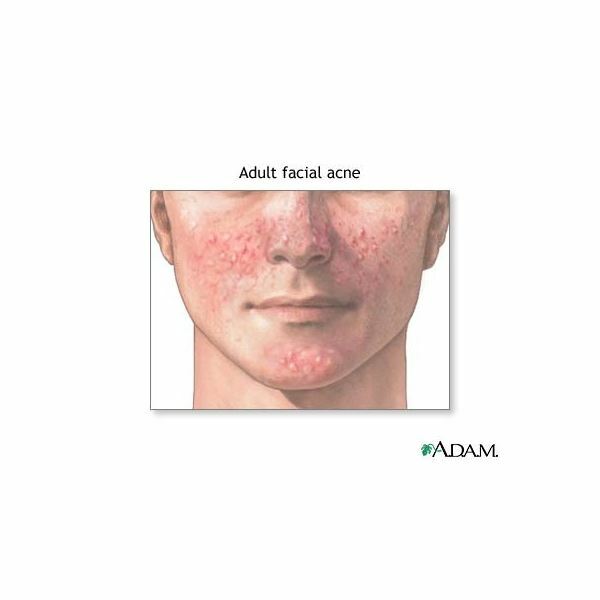 For moderate to severe pimples, a stronger solution (up to 15%) may be necessary. Apply as directed. Juice a cucumber and apply the juice over the pimples. Leave it on for 15 minutes then wash it off with lukewarm water. Do this once a day. Juice 2 garlic cloves and mix the juice with equal amounts of vinegar. Dab the mixture on the pimples before going to bed. Gently wash your face twice a day with a mild soap. Wash pillowcases regularly with a chemical-free detergent. Do not pick, squeeze, or pop pimples. Wear only oil-free and noncomedogenic (won't clog pores) moisturizers, makeup, and sunscreens. According to the American Academy of Dermatology, tanning does not get rid of pimples.